Stone & South is the first two-building waterfront condo in Gananoque, offering stunning views of the St. Lawrence River and Thousand Islands. Phase 1 features a six-storey building with 41 suites, with two-bedroom, two-bedroom+flex, and three-bedroom+flex floor plans, ranging up to 1,547 square feet. 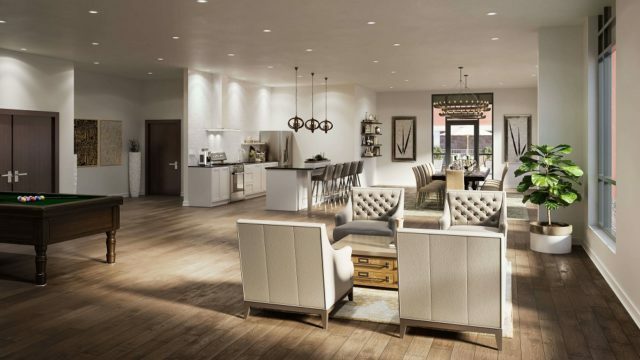 The open-concept layouts feature oversized windows, engineered hardwood flooring, granite countertops, Shaker cabinets, and soaring 10’ ceilings. Each suite also comes with an 8’ deep balcony with views of the water! We see Stone & South as a great opportunity for Greater Toronto Area (GTA) families looking for a new weekend getaway that doesn’t require any upkeep. Empty nesters may be interested in calling this maintenance free riverside condo home, too! The Stone & South Marina is exclusively for residents and your guests. It accommodates 30’, 35’, and 40’ crafts, so whether you or your friends have a boat, you never need to look for a place to dock. Other impressive amenities include a private gated and landscaped barbecue area, an off-leash dog park, storage for kayaks and canoes, swimming and fishing docks, a social room with a kitchen, and a fitness centre overlooking the Gananoque skyline. Visit Stone & South as soon as you can! Construction is expected to begin this fall, and occupancy is scheduled for the fourth quarter of 2019. That means your new condo cottage should be ready for spring and summer of 2020! 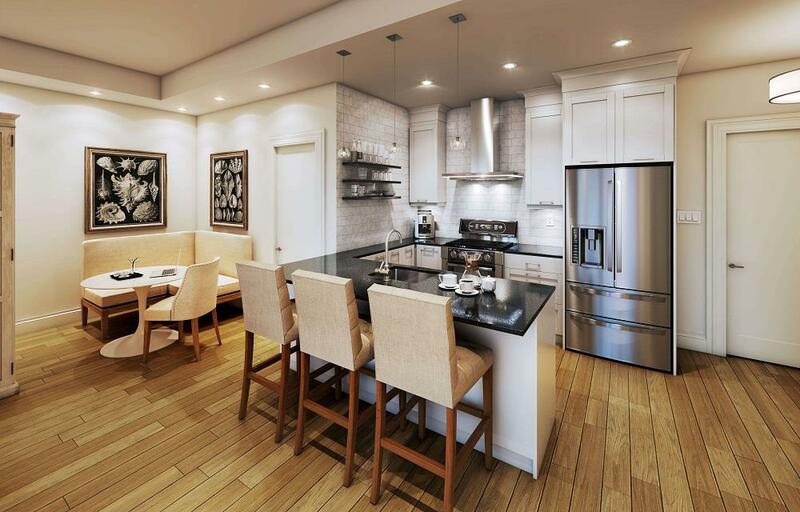 Prices start from $488,900, which includes an underground parking spot and a storage locker. The Stone & South Discovery Centre is located at 5 King St. East in Gananoque. The hours are Tuesday to Friday from 11 am to 5 pm and weekends from 12 pm to 5 pm. You can also call 613-876-2524 for more information.